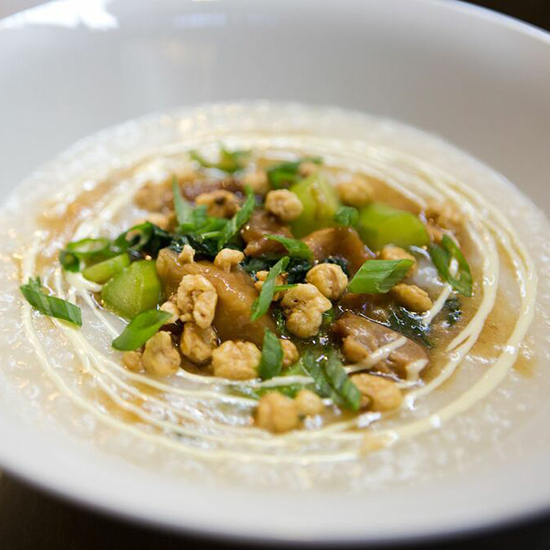 What: Congee—the smooth, soothing porridge generally topped with all manner of delicious things—is a classic comfort food in China and elsewhere in Asia. It's considered to be a cure-all when you're sick, but it works just as well for a hangover. At Kraken Congee in Seattle, go for the creative Pork Belly Adobo—a bowl of congee topped with long beans, green onion, crunchy corn and calamansi aioli (plus tons of pork, of course). Wash it down with: The Rum Typhoon is a good match for these Asian-Southeast Asian flavors, with rum, Thai basil and ginger beer.